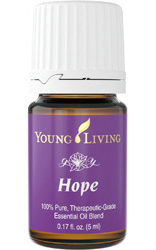 This blend of melissa, juniper, myrrh, an d spruce are carried in almond oil. In India with the ancient practice of Ayurveda, they believe the almond nourishes the brain and nervous system. Melissa balances and brings a gentleness and a calm by balancing the limbic part of the brain, which is the emotional center of our emotions. Juniper elevates spiritual awareness and can bring love and peace. Myrrh stimulates the hypothalamus, pituitary, and amygdala, which controls emotions and hormonal releases in the brain. Spruce releases emotional blocks and can create a sense of grounding and balance. This combination can provide a deep connection with the self, aiding in mental health and giving the user hope. Putting it over your heart or on your wrists and neck can give you vitality throughout the day.